While trans people share many common experiences, there is immense diversity within trans communities. There are an estimated 700,000 transgendered individuals in the US and 15 million worldwide. Even still, there's been a notable lack of organized information for this sizable group. 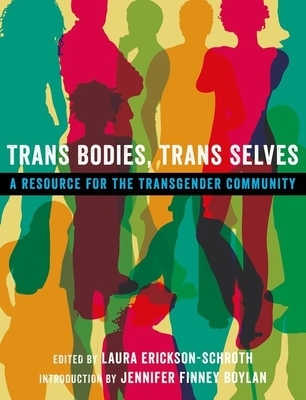 Anonymous quotes and testimonials from transgender people who have been surveyed about their experiences are woven throughout, adding compelling, personal voices to every page. In this unique way, hundreds of viewpoints from throughout the community have united to create this strong and pioneering book. It is a welcoming place for transgender and gender-questioning people, their partners and families, students, professors, guidance counselors, and others to look for up-to-date information on transgender life. Laura Erickson-Schroth, MD, MA, is a psychiatry resident at New York University Medical Center. She is a board member of GLMA: Health Professionals Advancing LGBT Equality, as well as the Association of Gay and Lesbian Psychiatrists. She is a founding member of the Gender and Family Network of New York City, a group for service providers interested in the health of gender non-conforming children and adolescents.